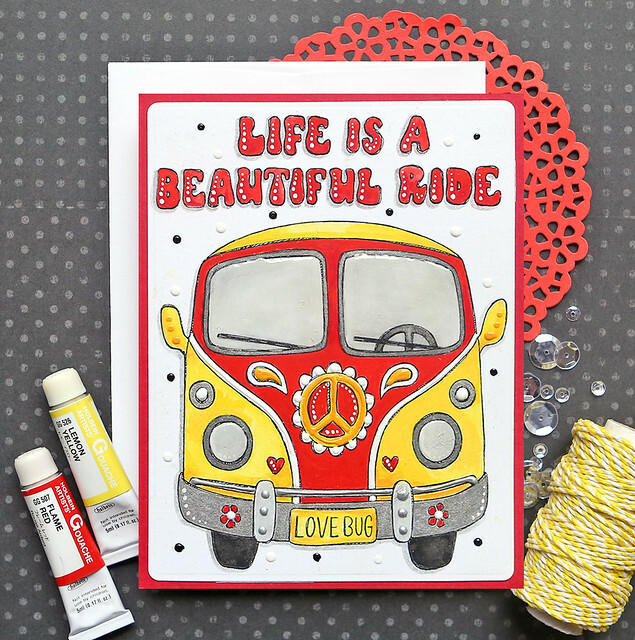 Hello blog hopping peeps! 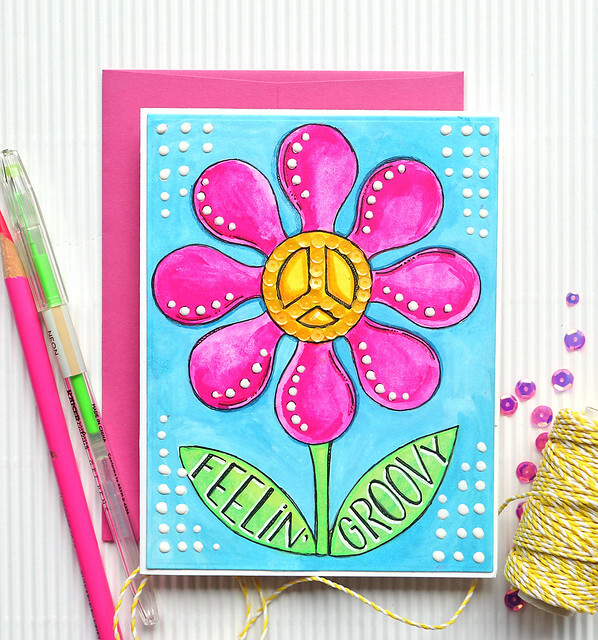 Today is the Simon Says Stamp Good Vibes Blog Hop and I have a new set of watercolor cards to share with you. They are called . . . Good Vibes! haha I had fun drawing this set, but I had even more fun coloring them - can you say NEON? 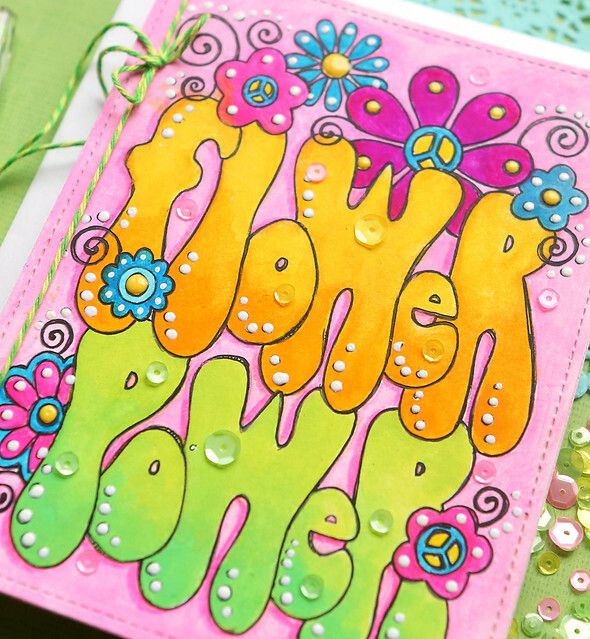 I went bright - like you might want to put on your sunglasses before you read this post bright. 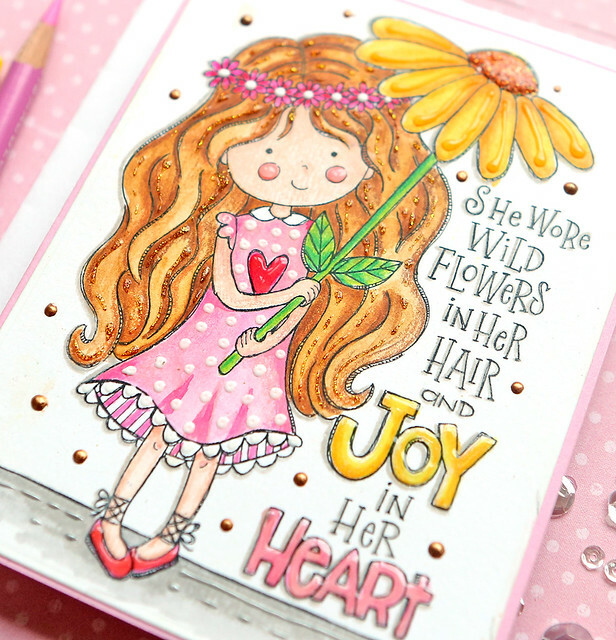 Here is an image of the watercolor cards before I went crazy on them! The entire Good Vibes release is HERE. 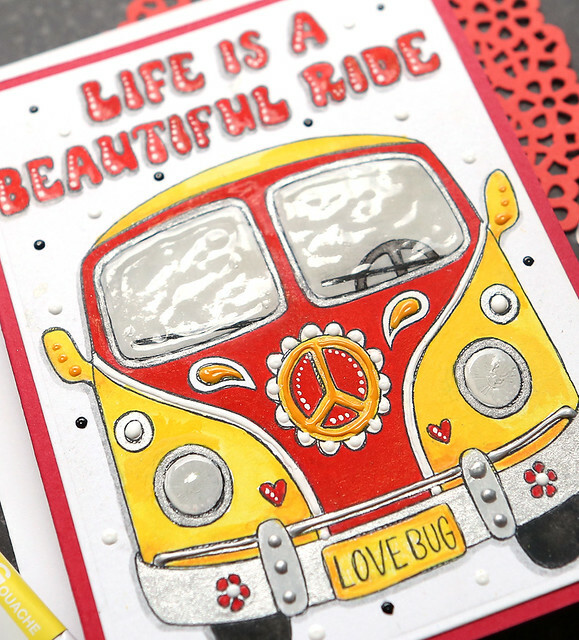 I also worked with the Surf's Up stamp and die set this week for a guest "one stamp, five ways" post on the Simon Says Stamp Blog coming soon. 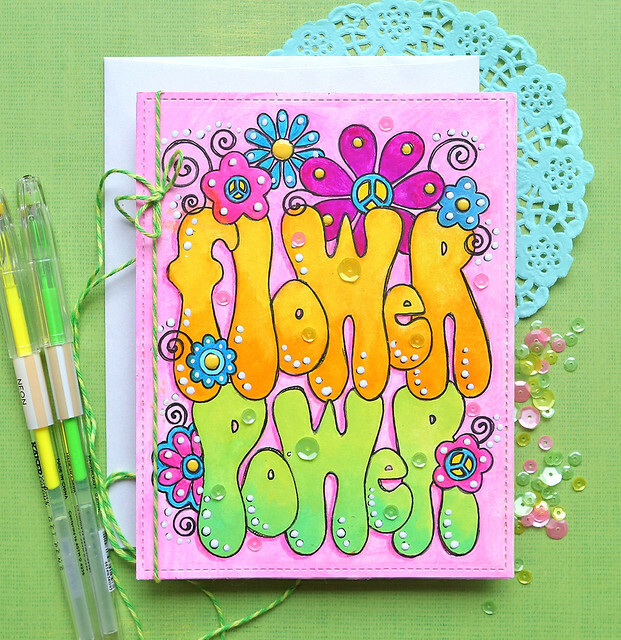 Here we go with 24 images of my very brightly colored watercolor cards! 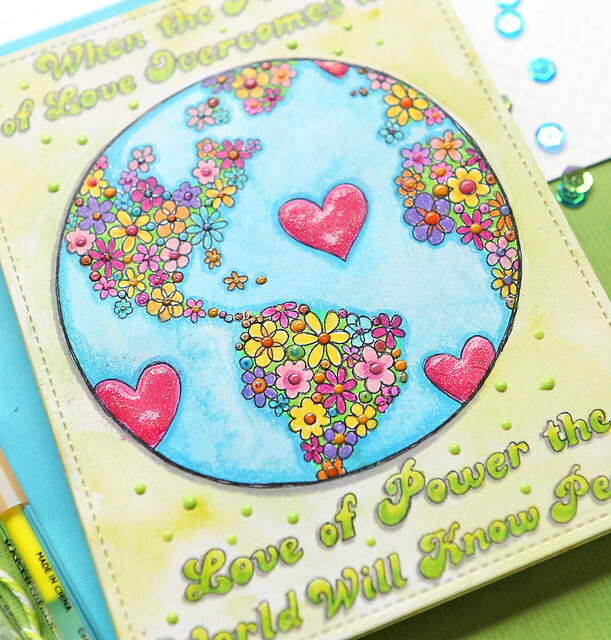 I will give you some tips at the end and cover the rest of the blog hop details. Below are some details and tips for the way I colored these - I actually used a different medium on most of them than I have used in the past - GOUACHE. I am now in love with it for these cards. If you haven't tried it, it is basically somewhere between watercolors and acrylics. It works like watercolors do, but it can be used opaque like acrylics. I use a brand by Holbein - I got a box of 48 small tubes on amazon a long time ago. There are a couple of the tubes in some of these photos. 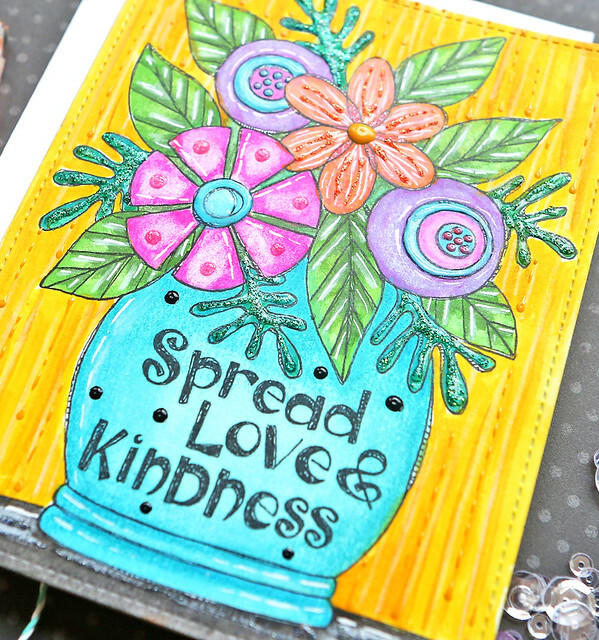 Mix coloring mediums as much as you want - this is my biggest piece of advice that I just recently figured out! 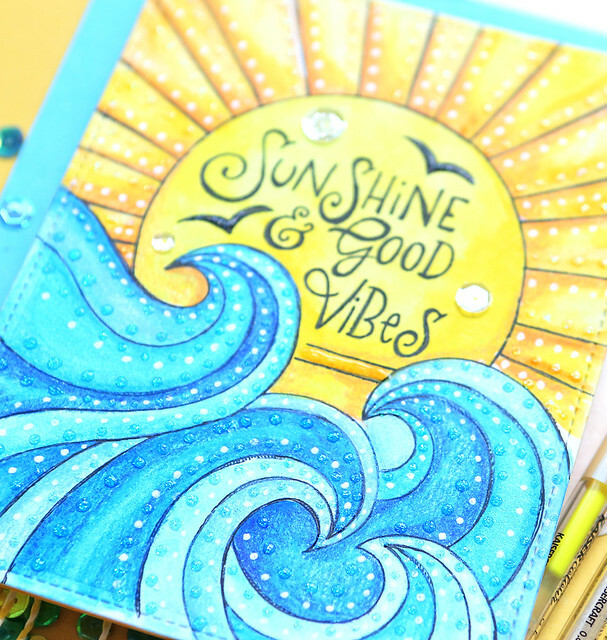 I used watercolors, gouache, Copics, colored pencils, glitter and neon gel pens, and lots and lots and lots of Tonic Nuvo Drops! 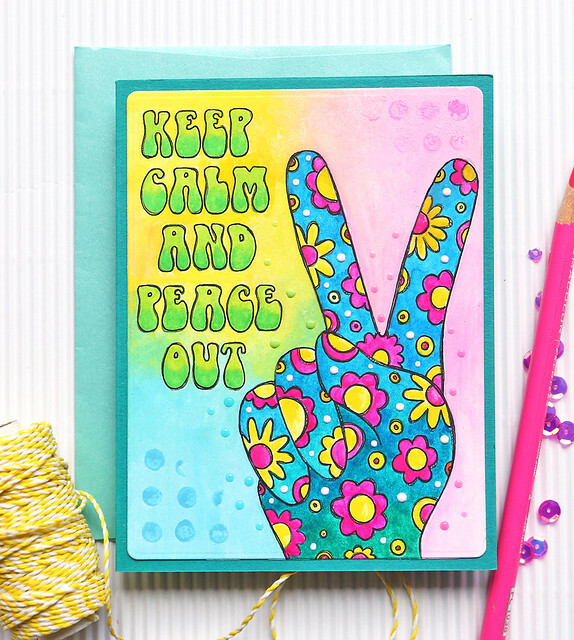 Check out the Good Vibes Gallery for all kinds of inspiration using this release and add your own projects as well! 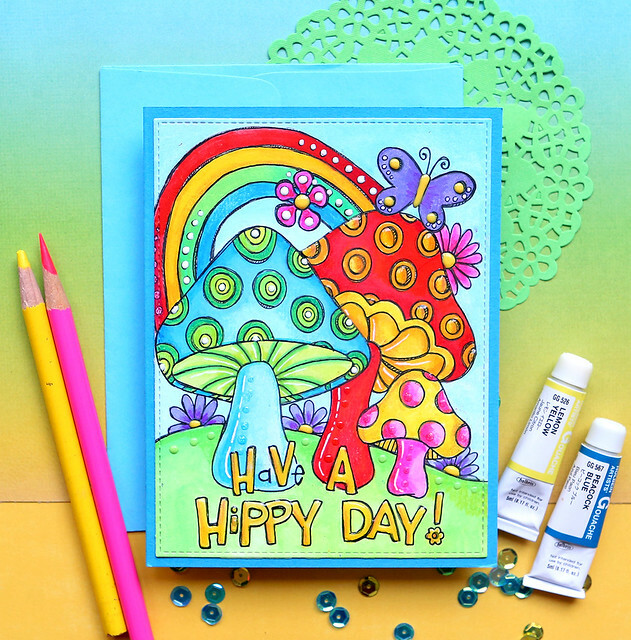 Next on the blog hop is Kathy Racoosin - the coloring QUEEN (I'll let her be queen as long as I can be one of her princesses!). 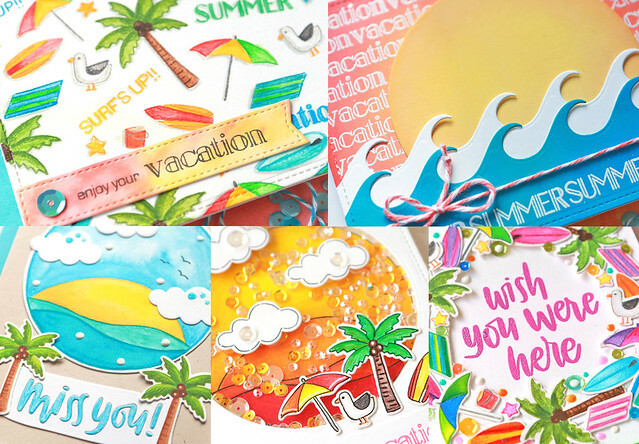 And last but not least, here is a sneak of my five cards using the adorable Surf's Up stamp and die set - this post will be up on the SSS Blog later this month. 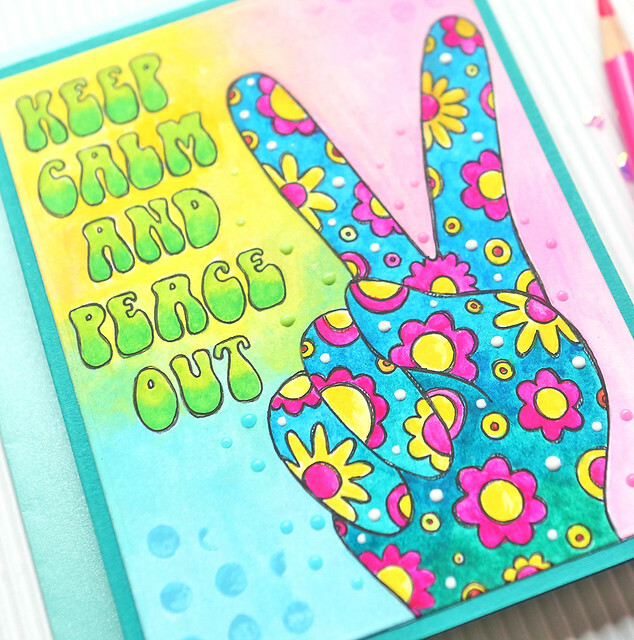 I always love your watercolor cards, but this one...Oh My is so AWESOME! 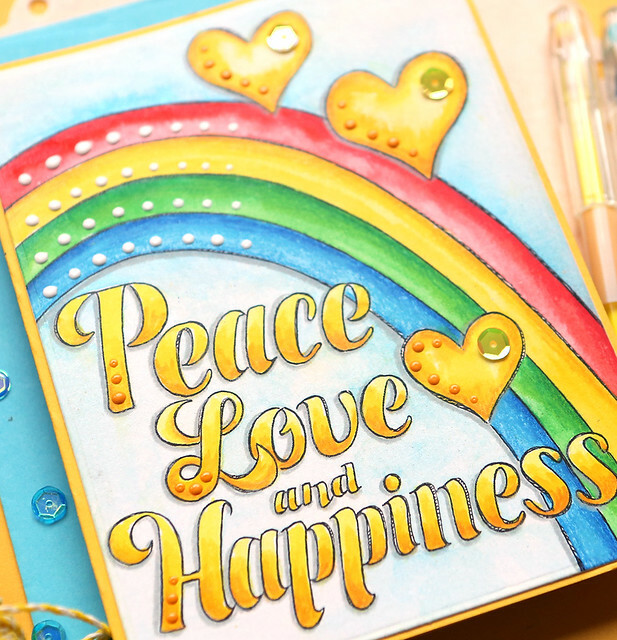 Marvellous cards and great colouring and extra touches! Great cards! The colors are wonderful! Wonderful colors! Great job on the cards! Love the use of the drops - gives them a great look! What a great thing to pack for a cruise or vacation! 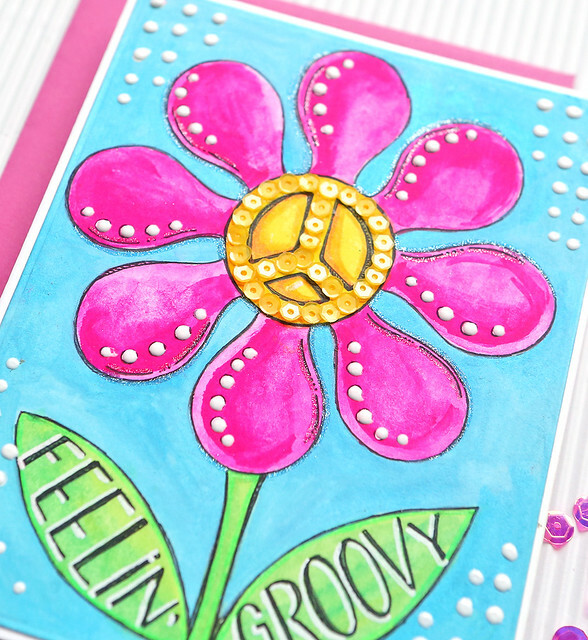 Great watercolor cards, especially when you color them. 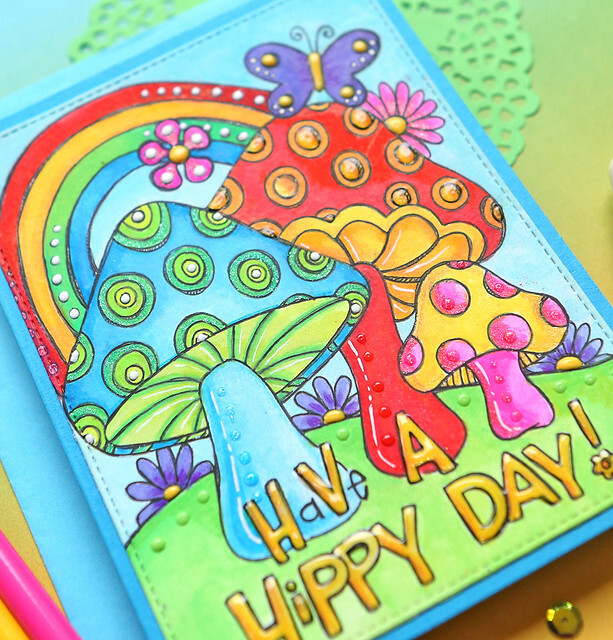 Looks like you had a lot of fun coloring all your cards! 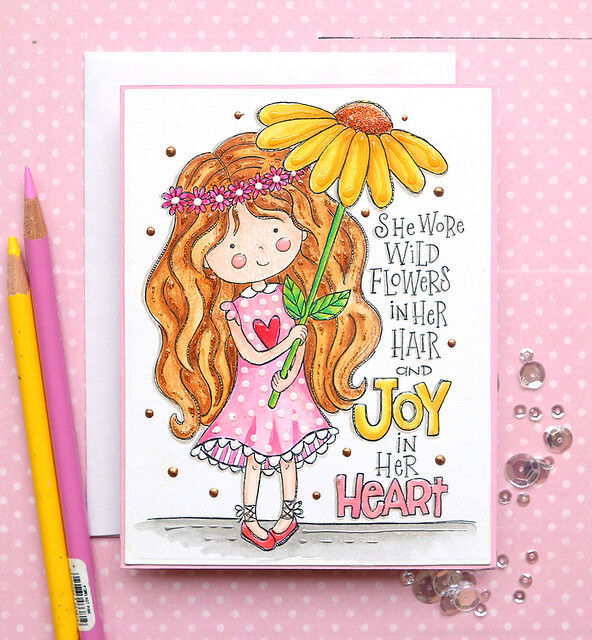 As always, your new designs are simply adorable and fun! 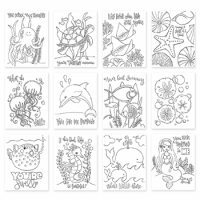 I need to get a set so my grand daughter and I can color together. I promised to teach her watercoloring this summer. 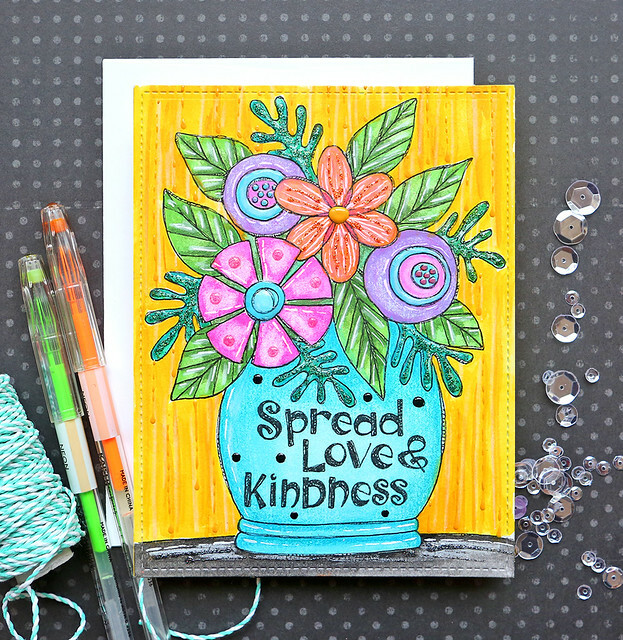 I love these and your coloring is awesome! 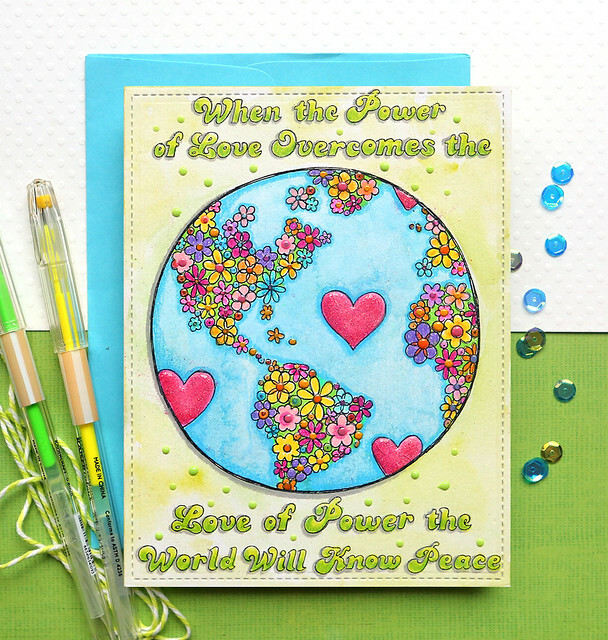 These make such cute cards - Love the coloring! Your coloring really looks bright and cheery. Great job ! 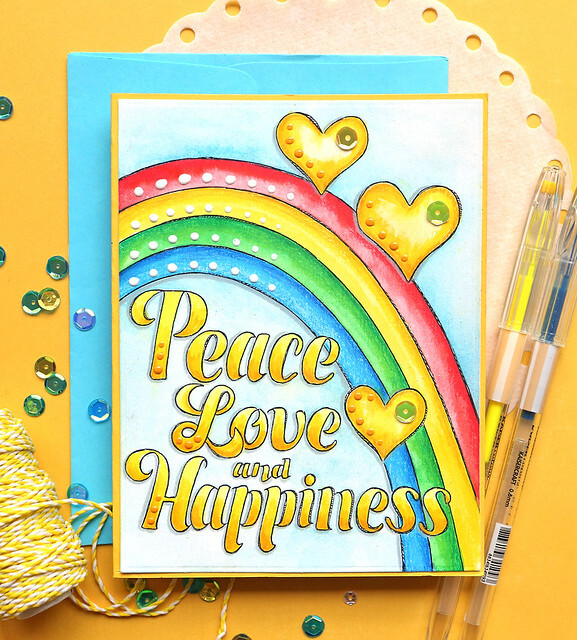 These cards are so happy and fun, they would be a great way to cheer up anyone! Thanks for all of the great tips. I just love taking watercolor cards with me for working away from home. This is a great set. 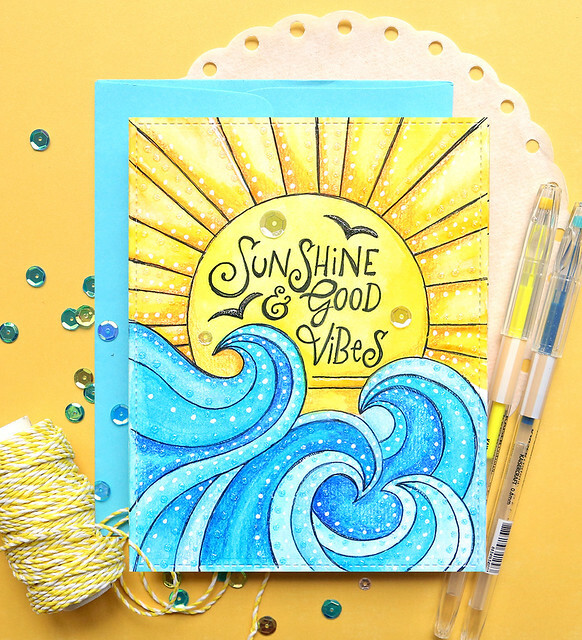 The "Sunshine Good Vibes" is my favorite!